Where should Hanford be regulated from — Seattle or Tri-Cities? UPDATED: Wed., Nov. 15, 2017, 12:19 p.m. The Environmental Protection Agency is advertising for a new Hanford nuclear reservation program manager, but the person may not live or work in the Tri-Cities. EPA is a Hanford regulator and the program manager has been based in the Tri-Cities since Hanford cleanup began. But with the August retirement of manager Dennis Faulk, EPA is considering basing his replacement in Seattle. 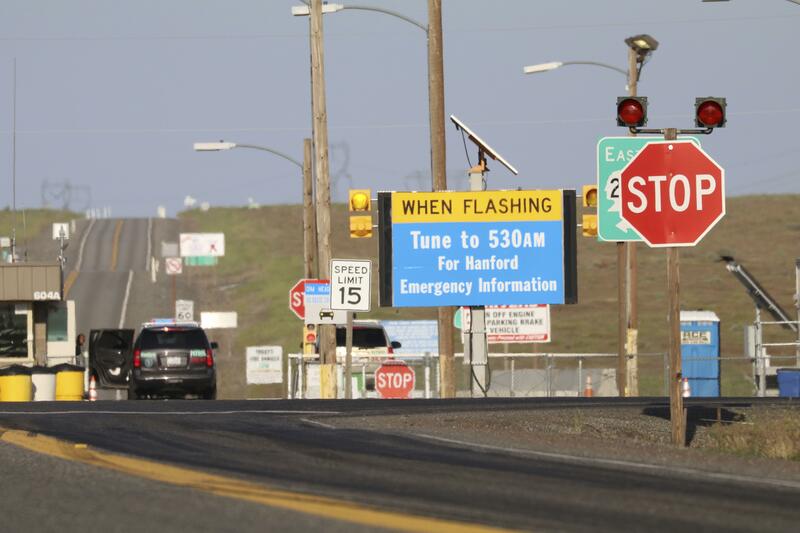 That would leave the Richland office with four people assigned to keep an eye on Hanford. In contrast, the Washington State Department of Ecology, the second Hanford regulator, has about 70 employees based at its Nuclear Waste Program in Richland, doing primarily Hanford-related work. A decision on where to base the EPA Hanford program manager in Richland or Seattle will not be made until the agency makes a job offer to a candidate. The Hanford Advisory Board is adamant that the new EPA Hanford program manager should be based near Hanford. “The HAB urges you in the strongest terms to locate the manager you select to replace Mr. Faulk in the Richland office,” Susan Leckband, chairwoman of the advisory board wrote in a letter Monday to the EPA acting regional administrator, Michelle Pirzadeh. The decision on who to hire may be made by the recently named EPA Region 10 administrator, Chris Hladick. The Alaska state commerce commissioner starts his new EPA job in Seattle on Dec. 4. Complex and dynamic interactions among EPA, DOE, the Department of Ecology, tribes and the interested public require that the EPA manager be based in the Richland office to do an effective job regulating Hanford cleanup, Leckband said. The 580-square-mile nuclear reservation is contaminated from World War II and Cold War production of plutonium for the nation’s nuclear weapons program. More than $2 billion a year is spent on its cleanup. The position is posted for a supervisory life scientist, environmental engineer or physical scientist who will be paid $109,500 to $142,300 a year. Applications will be accepted until Wednesday. In another change for EPA, the agency’s regional office in Seattle and local office in Richland can no longer sign off on final decisions for Hanford cleanup if they will cost more than $50 million. Decisions typically have been signed by the regional administrator in Seattle or sometimes delegated to the Hanford program manager in Richland. The national head of EPA, Scott Pruitt, has taken back signature authority on all Superfund site projects with budgets that large, said Laura Buelow, EPA’s acting Hanford program manager, at a meeting of the Hanford Advisory Board last week. “It’s intended to make RODs (records of decision) more uniform throughout the country,” Buelow said. At Hanford decisions called “records of decisions” that outline cleanup work must be done for different parts of the Hanford cleanup and, cleanup standards that must be met are usually signed by EPA, DOE and Department of Ecology officials. The first Hanford record of decision that Pruitt is expected to consider is for the areas around the D, DR and H reactors at the horn of the Columbia River as it flows through Hanford. Most of the cleanup work has been completed there under an interim record of decision, including tearing down contaminated buildings, digging up burial grounds and areas with contaminated soil, and cocooning the reactors. The reactors are torn down to little more than their radioactive core, re-roofed and sealed up to allow radioactivity to decay for up to 75 years before a final cleanup of the reactors is done. But remaining work could still cost several hundred million dollars, Beulow said. There are still some areas with soil contamination. But the larger expense is to continue to operate groundwater treatment plants that pump water contaminated with hexavalent chromium out of the ground and clean it to keep contamination from reaching the Columbia River. The chemical, which used in reactor operations, can cause cancer in people and is toxic in small quantities to young salmon and other aquatic life. Published: Nov. 15, 2017, 9:36 a.m. Updated: Nov. 15, 2017, 12:19 p.m.